An opportunity for the real estate sector? Check the three-day programme and venues of the Congress! Check Confedilizia's Website to get up-to-date information! The collaborative economy is a fast-growing sector which can bring about substantial benefits to the society at large, fostering job and growth whilst creating new opportunities for consumers, flexible working arrangements as well as new sources of income. The impact of these new economic activities is particularly significant in the residential real estate sector, as it revolutionises the short-term rental accommodation market by creating new business models for property owners and by allowing homeowners to optimise the use of their property. Yet, these new forms of real estate business models and house sharing opportunities are not without impact on the local housing market, direct neighbourhood and the living communities. Therefore, national, regional and municipal authorities in most Member States are enacting legislation or conceiving policies on the provision of short-term accommodation rental services. In some instances, these include restrictions of market access or of the exercise of the activity for accommodation providers, such as authorisation schemes. 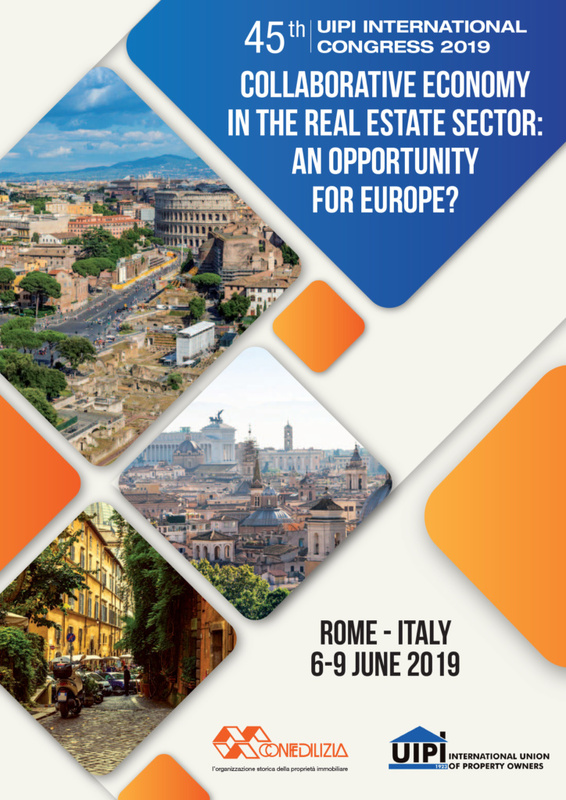 The opportunities and challenges generated by the collaborative short-term accommodation sector, as well as the related policy responses, are a topic of growing interest for European homeowners and landlords and they will be addressed during the 45th UIPI Congress in Rome from 6 to 9 June 2019. Interested in knowing more about the confirmed speakers?